Former Buddhist monk Lobsang Phuntsok felt his throat choke with emotion as he handed out laptop computers to 14 orphans before him. He’d first met these young adults as scared, scrawny and hungry four year olds desperate for a safe haven, some 12 years ago. They were among the first residents at Jhamtse Gatsal Children’s Community. At the time he’d opened the doors of Jhamtse Gatsal to care for the most at-risk children in this remote Indian region, Lobsang had handed them toothbrushes and underwear – both of which the children had never seen before. Now they were receiving laptops to go to college. Two of them were seeking admission to medical school. Every one of those first Jhamtse orphans of college age were now enrolled to further their education. A younger Jhamste kid learns computing skills on a laptop computer. Overcome with pride and joy at how the kids had flourished, Lobsang cast his mind back to his own childhood. For he too had once faced a bleak future. With his mother unable to care for him, Lobsang was raised by his grandparents from a young age. He doesn’t know how old he was at the time – maybe four or five. He lived a nomadic life with his impoverished grandparents – wandering the mountains of north-eastern India with herd animals, forever on the move chasing new pastures. While he remembers parts of this life fondly, he also recalls the trauma of poverty and yearning for his parents’ love. So traumatised did he become that he got into all sorts of trouble, and several times attempted to take his own life. His worried grandparents fretted over what would happen to the troubled boy as they aged, so they sent him to a monastery to live out his childhood. His worried grandparents fretted over what would happen to the troubled boy as they aged, so they sent him to a monastery to live out his childhood. Lobsang remembers the trip to Sera Je Monastery in South India as a time of intense emotion. He was devastated at leaving his grandparents, yet his adventurous spirit ignited with the promise of a new life. They hitched a ride in the back of a truck to start the 10-day trip to the monastery. As the truck roared south, a young Lobsang gazed out with wide eyes watching the remote mountainous region give way to ever-increasing urban sights – a chaos of cities, people, buses, cars and trucks. After arriving at the monastery the monks whisked him away, overwhelming Lobsang with their compassion, but also their rigorous training. They shaved his head, handed him robes and he embarked on hour upon hour of prayers and meditation. Despite the harsh lifestyle, Lobsang remembers feeling in awe of the love, kindness and respect afforded him. The loneliness that had characterised his early years was gone. He finally felt accepted by someone other than his grandparents. He was beginning to feel okay for who he was. Despite being embraced with compassion, Lobsang found it hard to kick his mischievous ways. His rebellious spirit simmered beneath the surface within the austere monastery walls. He tried escaping several times, forced back by a lack of money and the sheer distance to his grandparents and their far north-eastern home. Once, Lobsang and a handful of other young monks escaped the monastery to watch a Bollywood romance movie. This was a serious act of defiance – with movies, especially romantic ones, deemed far too distracting and corruptive for a young monk in training. More than a decade later, Lobsang’s sense of adventure was given further wind when he got an opportunity to be part of a special program under the guidance of His Holiness The Dalai Lama. Lobsang was among a handful of monks to undergo training in translating Buddhism for a Western audience. Several years later this training culminated in a trip to New York City for the 2000 Millennium Peace Conference. “I’d gone from this remote mountain village to the monastery, then New York,” Lobsang says. “That trip was a big adventure.” Lobsang laughs at his naivety. He remembers standing beside then Secretary General of the United Nations, Kofi Annan, with no idea who he was, and sipping a red wine he’d mistaken for a juice. He felt dizzy for the rest of the day from the forbidden wine’s effects. “There’s this photo of me standing next to Kofi Annan holding the red wine,” Lobsang laughs. Despite his work in America and Canada, Lobsang continued to experience the restlessness that had characterised his life. He felt there was something missing. Something more he should be doing. It wasn’t until he returned to India to visit that he realised what he’d been called to do. He saw children who were so similar to the boy he’d once been. Kids with nothing. Struggling. Yearning for acceptance and love. He longed to help them. “In America I was just talking about compassion but I didn’t have to actually do anything about it,” he says. Lobsang dreamed of not only homing and schooling troubled children, but providing them with the love and compassion they’d need to thrive. He envisage creating a place of total transformation – not only for the children, but for the staff who’d dedicate their lives to becoming the best version of themselves. Helping these kids would enable Lobsang to practice the compassion of which he preached. As he had no money to pursue his dream, Lobsang spoke of his desire to help the children of his homeland to people in America who immediately professed their support. They helped raise funds for his return trip, eventually resulting in the opening of Jhamtse Gatsal Children’s Community in 2006. It wasn’t long before Lobsang’s sense of rebellion raised the ire of his advisors when he refused to hire staff based solely on their academic qualifications. Instead Lobsang hired his team based on his gut feeling. He employed two school dropouts to be house mothers for the kids. “They’d dropped out of school but I felt they’d understand the children’s pain,” Lobsang says. “I didn’t look at their skills or their experience but at them having had the same challenges as the kids.” Both women remain key staff at the community today. Compassionate staff are key to the kids’ happiness. Today Jhamtse Gatsal Children’s Community homes and schools 90 children from preschool to year 12. It also operates an outreach program, providing help to more children in neighbouring communities with education, health care and sustainable agriculture. 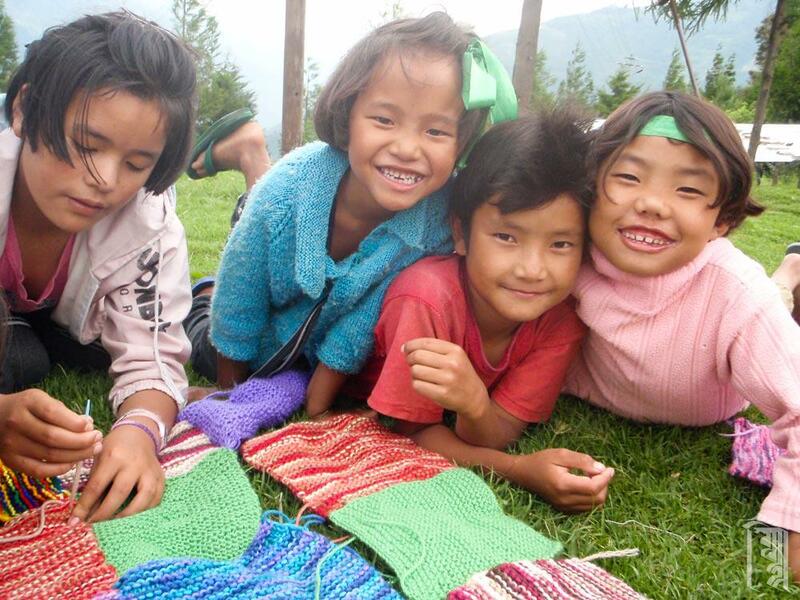 You can find out more about Jhamtse Gatsal Children’s Community and donate at http://jhamtsegatsal.org/. Once troubled kids are all smiles at Jhamtse.